Joplin, Mo. 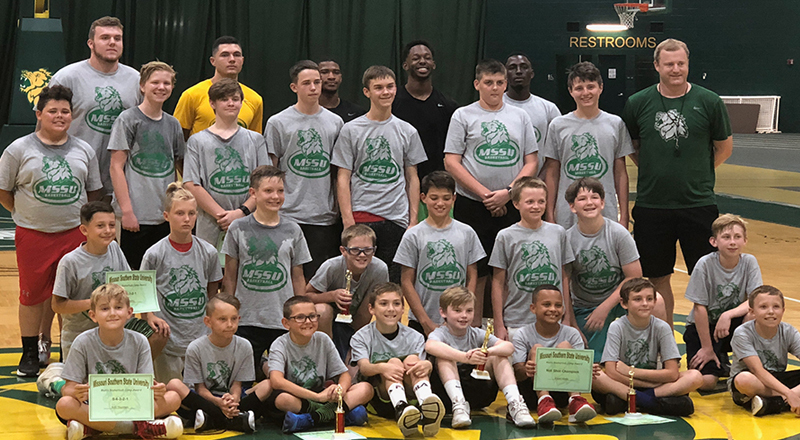 — The Missouri Southern men’s basketball team will once again have its Little Lions Camp this year beginning in late August and running through early October. Little campers will have the opportunity to improve their basketball skills during eight evening sessions where they will be taught and mentored by the MSSU coaching staff and players. The first 40 registered will receive a free Lion basketball and all participants will receive a Little Lions t-shirt. The camps are for grades kindergarten through 8th and are for both boys and girls. The eight sessions will run from 6:30 pm till 8 pm on August 29, September 5,12, 19, 26, and October 3, 10 and finishing with a display at MOSO Madness (date yet to be determined). Cost for the sessions will vary from either $125 for all eight essions, $110 for seven sessions, $100 for six sessions or $75 for four sessions. For more information, please contact Sam McMahon at 417-818-5505 or by email at mcmahon-s@mssu.edu.